City Eyes is an Acuvue Centre of Excellence practice which ensures our patients will get the right contact lens options to suit their lifestyle, and be given the training for fitting and maintenance of their own lenses. The revolutionary Ortho-K Overnight Lens system. Correct your vision without the need for surgery! Our contact lens suite is fully equipped with modern equipment, and well-stocked with the following lenses. Click on the plus (+) signs below to read more about each product. Standard contact lenses are split into two types. Soft hydrophilic lenses, and rigid gas permeable lenses. Soft lenses provide vision correction for those with prescriptions outside the range covered by daily disposable lenses. Rigid gas permeable lenses provide better vision and fitting than soft contact lenses for some contact lens wearers. City Eyes provides all leading brands of standard lenses. Daily disposable lenses are ideal for the occasional contact lens wearer. They are low maintenance as no solutions or cleaning is required. Patients have a choice of daily disposable lenses. City Eyes supply Focus Dailies, 1 Day Acuvue, Sauflon Dailies, Softlens Daily, Biomedics and Daysoft UV lenses. Bifocal/Multifocal contact lenses provide good vision for those with presbyopia, (those who are over 40 years old and whose arms appear to be getting longer as they experience difficulties with small print). Available as soft disposable or rigid gas permeable lenses they are supplied by City Eyes as either Acuvue or Frequency Bifocal/Multifocal contact lenses. These soft lenses correct astigmatism and are available at City Eyes as monthly or daily disposable lenses. At City Eyes Acuvue, Focus, Proclear, Frequency, Focus and Softlens66 branded toric lenses are available. Two-weekly lenses provide greater comfort for longer periods of wear, or for those with sensitive eyelids. All leading brands are available for purchase at City Eyes. Weekly extended wear lenses are an alternative to monthly extended wear contact lenses and can be worn continuously for 7 days and 6 nights. Leading brands are provided by City Eyes including Acuvue branded lenses. Monthly non-extended wear lenses are removed and cleaned daily with multi-purpose solutions and can be used for up to one month. 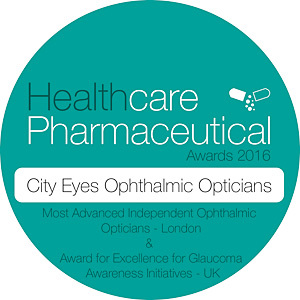 All leading brands are provided by City Eyes, including Surevue, Focus Monthly, Proclear, Comfort Vue, Frequency and many other brands. Monthly extended wear lenses can be worn like monthly non-extended wear lenses and removed each day, or can be worn day and night continuously for up to 30 days. Focus and Purevision branded lenses are provided by City Eyes. Surface Cleaner – requires rubbing the lens with clean fingers to remove surface deposits. Disinfection – a crucial step, usually requires soaking the lenses overnight in a chemical such as hydrogen peroxide. This step prevents organisms such as bacteria, viruses, and fungi from growing. Rinsing after disinfection – most chemical disinfectants like hydrogen peroxide hurt if they come in contact with the eye, therefore it is important to follow the manufacturer’s instruction on soaking time and make sure you rinse your lenses well before insertion. Enzymatic Cleaner – This is the best way to remove protein from soft contacts and is usually done once a week. The enzyme tablet is added to your nightly disinfecting solution. This step will greatly increase the longevity of your contacts. Steps 1, 2 and 3 should be done every night, step 4 added once a week. The new all-in-one multipurpose daily wear contact lens solutions cover all the above steps but it is very important that the rubbing step (step 1) is not missed out. Follow steps 1-4 under Daily Wear above, once a week. Enzymatic tablets are very important to use if you do not want to replace your lenses frequently. Extended wear contact wearers should go without their lenses overnight at least once per week. Not everyone is a candidate for overnight wear – there are many people who wear extended wear lenses as daily wear. If you do not sleep in your disposables then soak in a multi-purpose solution overnight and throw away the lenses in two weeks unless instructed otherwise. These lenses last 1-3 months depending on care and cleaning. If you sleep in Planned Replacement contacts, disinfect and use enzymatic tablet once a week. If you wear planned replacement contacts as daily wear, use a multi-purpose solution overnight and replace the case on a monthly basis. Rinse with wetting solution or saline. Use an enzymatic tablet once a week.